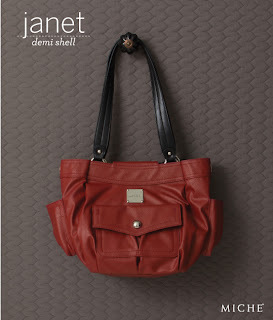 The Miche Janet Shell for Demi Bags is your new go-to red for when you wake up feeling powerful and bold! Demi brick-red colored faux leather and a matte, finely pebble-grained texture is perfect with neutral, black or white outfits. And just for kicks, the whole look is topped off by a single, oversized rivet on a large exterior snap-closure pocket. Base bag not included.